Bolstered by high acreage, San Diego’s park system was Wednesday ranked 16th among the nation’s 100 largest cities by the Trust for Public Land. Neighboring Chula Vista placed 76th on the nonprofit’s 2018 ParkScore Index, which was topped by Minneapolis, St. Paul, Minnesota, and Washington, D.C. Rankings are based equally on: park access, which measures the percentage of residents living within a 10-minute walk of a park; park acreage, based on a city’s median park size and the percentage of total city area dedicated to parks; park investment, which measures park spending per resident; and park amenities, including basketball hoops, off-leash dog parks, playgrounds, splash pads, recreation centers and restrooms. “High quality parks make cities healthier in nearly every way,” said Adrian Benepe, the Trust for Public Land’s senior vice president. San Diego’s median park size is 6.8 acres, and the city reserves 23 percent of its land for public parks, according to the Trust for Public Land. The latter figure dwarves a national average of 9.3 percent. According to the index, 77 percent of San Diegans live within a 10- minute walk of a park, compared to a 70 percent national average. San Diego underperformed only on amenities, according to the rankings. San Diego offers 0.1 splash pads per 100,000 residents and 1.9 park restrooms per 10,000, compared to national averages of 0.9 splash pads and 2.4 restrooms. Chula Vista, meanwhile, outperformed San Diego on dog parks, offering 1.9 per 100,000 residents compared to San Diego’s 1.1 and the national average of 0.9. 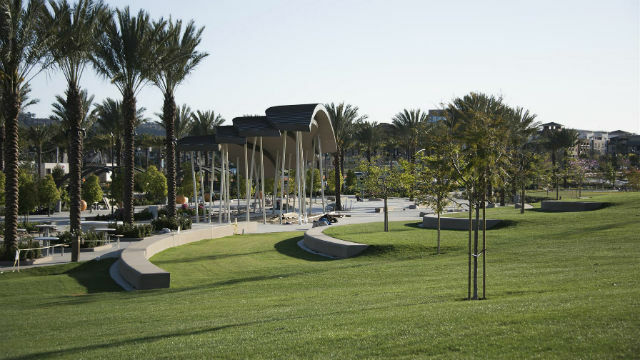 Only 55 percent of Chula Vista residents live within a 10-minute walk of a park, however, and the city’s parks spending is $44 per resident, roughly half the national average of $87. San Diego spends $140 per resident. Nationally, public parks spending reached $7.5 billion among the 100 largest cities in 2018, a $429 million increase over the previous year.